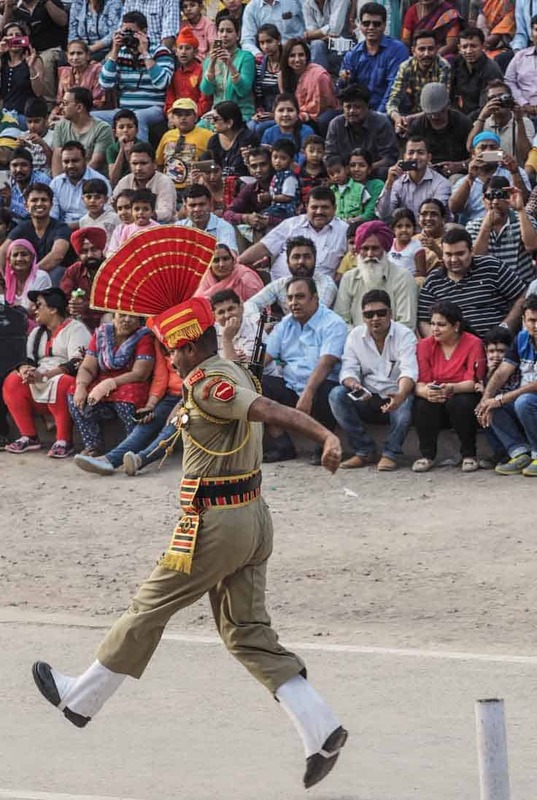 A most visit day trip from the Indian town of Amritsar famous for the Sikh´s Golden Temple and 29Km from Lahore in Pakistan is Wagah border crossing, the only border crossing point between Pakistan and India that is open. While few people are here to cross the border in either direction is about everyone here both locals and tourists here for the “lowering of the flags” ceremony that´s happening here every day in the late afternoon. 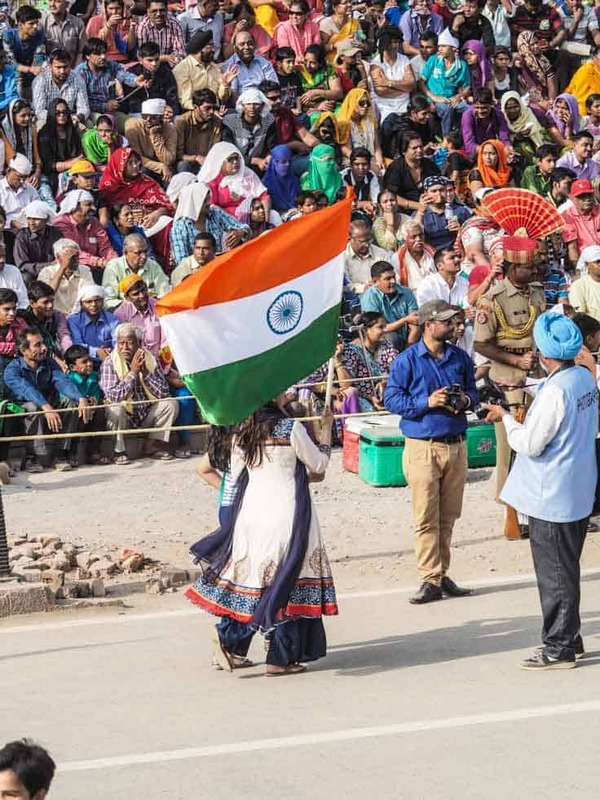 Here´s a short Video from the Wagah Border Ceremony. 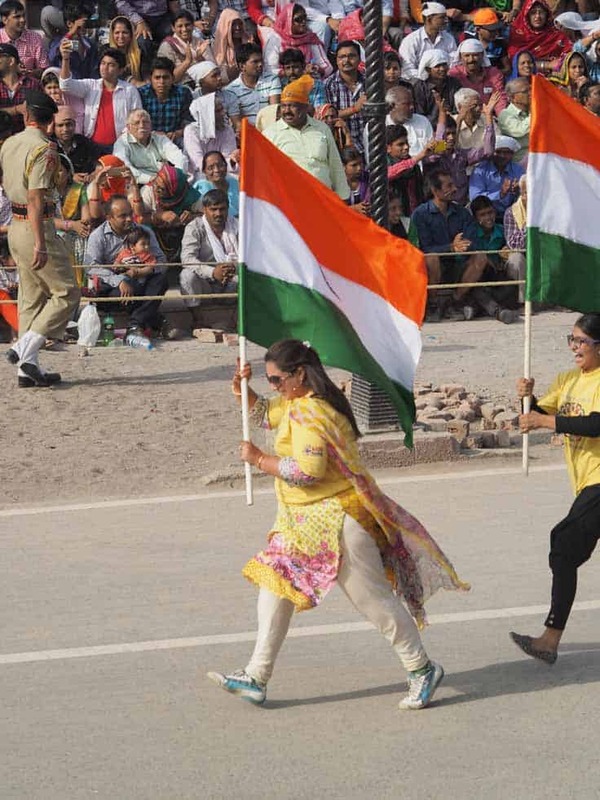 Every day before sundown are hundreds of people showing up at the border where loud Indian pop and patriotic songs will be blasted from a numerous of speakers and young people from the crowd will be encouraged to dance and run around with the Indian flag to show off to the Pakistani public on the other side of the border. 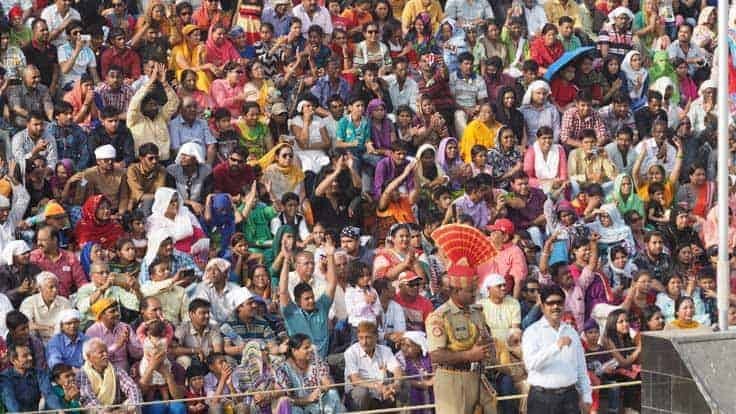 While the Indian side is full of colour and noise from local girls dancing in colourful saris and the locals in the setting area are cheering and shouting out “Hindustan,” similar to the atmosphere to when your favourite football team scores at heir home stadium. 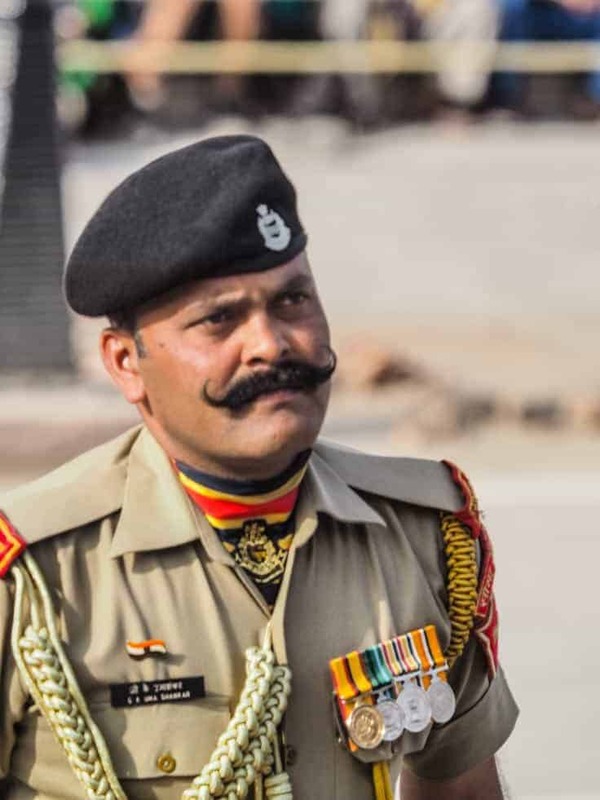 So are the other side of the Pakistan side quiet and calm with only a few people trying to shout out “Pakistan” to the response of the Hindustan on the Indian side. The Indian side is by far the most colourful and noisy. After the public has been warmed up from all the dancing and shouting is everyone told to take a seat, with all foreigners being placed in a “V.I.P Foreigner” seating area. 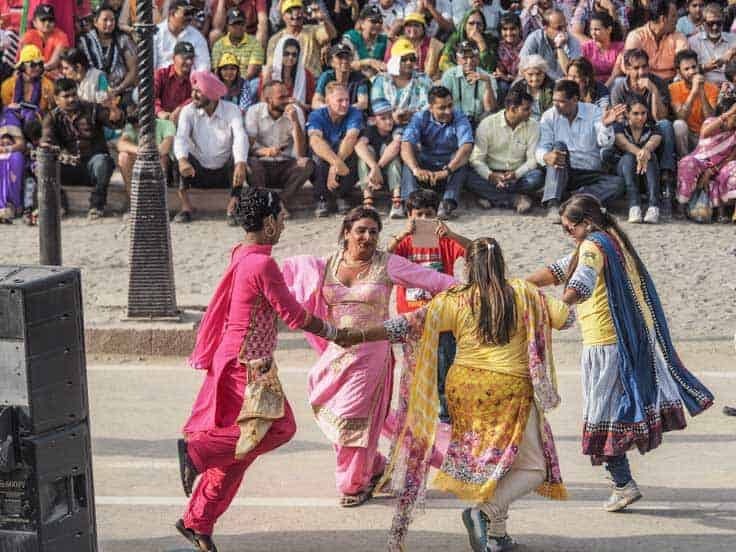 Locals are dancing on the Indian side. 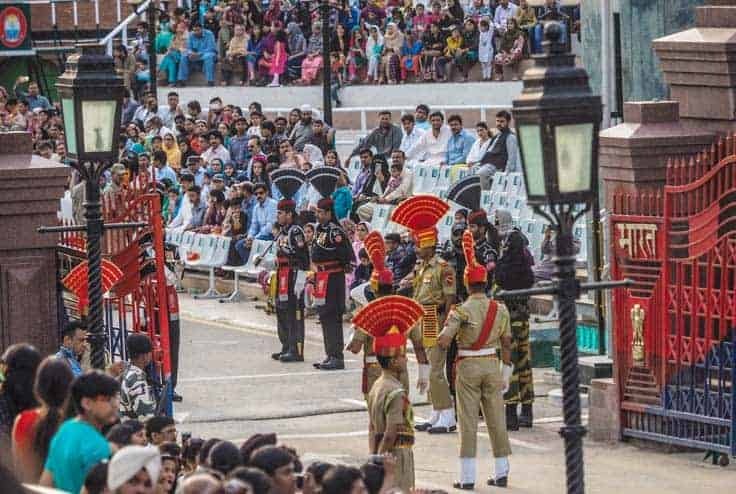 The ceremony starts off with a performance done by Indian Border Security Force (BSF) and Pakistani Rangers, performing a synchronized ceremony on each side of the border gates. The passion with which the soldiers on both the sides fulfil their duty is very impressing. 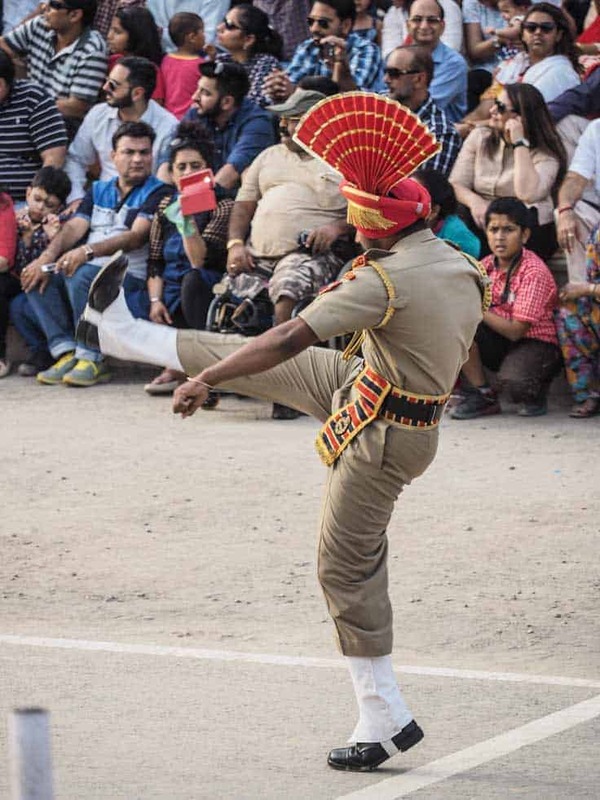 Shouting, singing, the thumping of the feet, drums, dancing and trying to outdo the other countries, soldiers make this the world´s strangest border. It kind of like a competition of which side soldiers that can lift and stomp their foot the hardest to the ground. 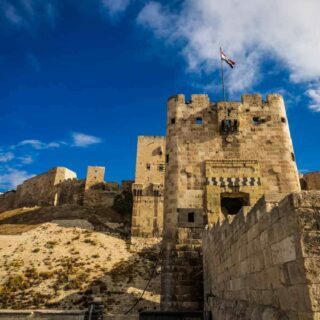 The performance is a symbol of the two countries’ rivalry with how angry one can get at each other without talking to violence, as well as brotherhood and cooperation between the two neighbours. There are also female border guards. 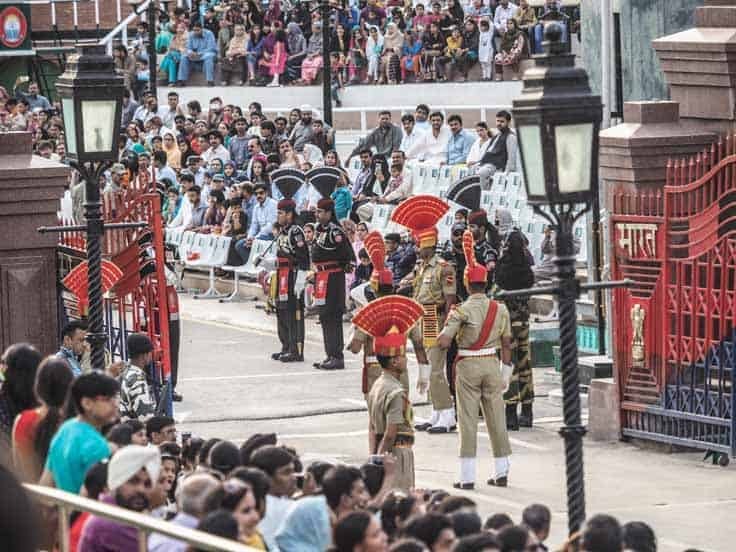 When the sun starts to set, the iron gates the separate the two countries are opened, and the two flags are lowered simultaneously. 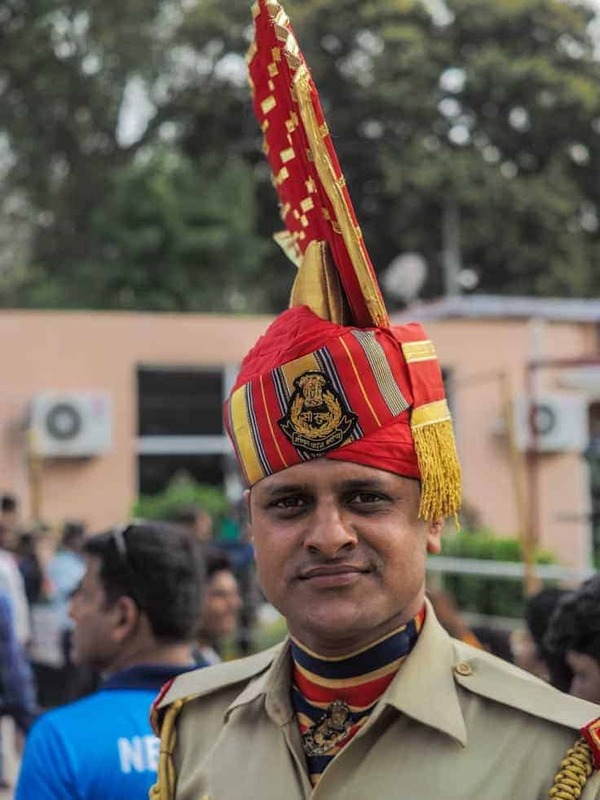 The ceremony ends with a retreat that involves a polite handshake between soldiers from both sides before the gates are slammed together and closed. 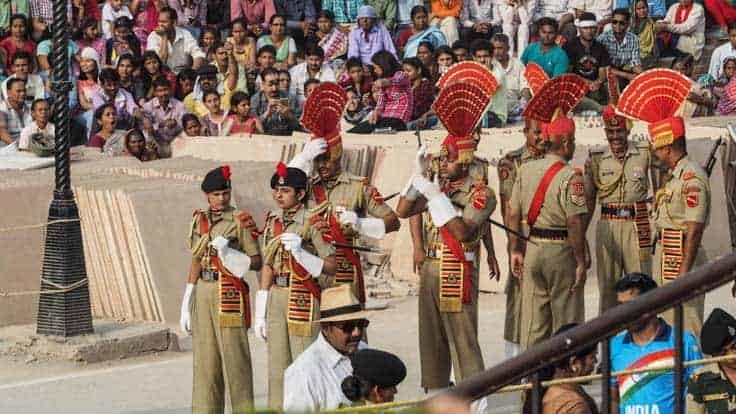 Additional Information about the Wagah Border. Getting there: The easiest way to get here is to take a shared taxi with other foreigners for around 300/400 RS for each person for a return trip including the driver will wait for you. Or around 1000rs for a private car. Just be aware the car is not allowed to drive all the way to the border, you will have to walk the last 500m by foot. Your hotel/guesthouse can arrange the driver. If not so are the tons of drivers waiting around outside the Golden Temple in Amritsar. The drive from Amritsar is around 45minutes each way depending on the traffic. Ticket: There´s no ticket. The ceremony is entirely free. What Time To Get There: The ceremony itself starts at 17.30 finish at 18.00 but one of the fun things is to watch the local dance before the ceremony, so it´s wise to arrive around 16.00. So leaving Amritsar no later than 15.00 is a good idea. The security check takes time. So arrive early. What to bring: Do NOT bring any big backpacks, it´s strictly not allowed inside, even ladies purses & handbags are not allowed. But you can bring a clear plastic bag with your stuff. You will have to go through a full security check before entering the ceremony; the guards even took my power bank. Be sure to bring something to drink; it’s getting boiling sitting directly in the sun without any shade. So it´s vice to bring suncream to. Hope you doing fine and having a good time in India. Oh, I’ve seen videos before. It must be lovely to watch live.